Huge Firearms Auction! Rifles, Pistols and More! Preview Date & Times: FRIDAY 9AM-5PM THE DAY OF THE AUCTION!! 20% BUYERS PREMIUM FOR ONLINE BIDDING. YOU MAY RECEIVE A 3% DISCOUNT FOR CASH IF YOU PAY IN PERSON. CONDITION OF ITEMS SOLD: The auctioneer shall not be responsible for the correct description, authenticity of, or defect in any lot, and makes no warranty in connection therewith. No allowance will be made or sale set aside on account of any incorrectness, error in cataloging, or any imperfection not noted. No deduction will be allowed on damaged articles as all goods being exposed for public exhibition are sold as is and without recourse. OTHER BIDDING OPTIONS AVAILABLE: PHONE BIDDING: 20% BUYERS PREMIUM AND A MINIMUM $50.00 OPENING BID ON EACH LOT. (PLEASE CALL US TO SET THIS UP) LIVE IN PERSON BIDDING: 13% BUYERS PREMIUM FOR BIDDERS AT FACILITY AND A 3% DISCOUNT FOR CASH RING START TIMES... 6:00PM FRIDAYS!! LOCAL PICK UP MUST BE PICKED UP NO LATER THAN 3:00PM ON SUNDAY FOLLOWING THE AUCTION OTHERWISE YOU WILL BE CHARGED $10.OO PER DAY PER LOT STARTING ON MONDAY FOLLOWING THE AUCTION. WE MUST CLEAR OUR SHOWROOM FOR THE NEXT AUCTION THANK YOU FOR YOUR UNDERSTANDING AND FOR PICKING UP YOUR ITEMS WITHIN 24 HOURS! ONLINE BIDDERS: YOU MUST PAY WITHIN 24 HOURS OF THE END OF AUCTION YOU ARE ALSO RESPONSIBLE TO PAY FOR SHIPPING SEPARATE. PAK MAIL WILL PICK UP ALL ITEMS ON TUESDAY MORNING THEY WILL CONTACT YOU TO ARRANGE SHIPPING. IF YOU DO NOT HAVE YOUR ITEMS PICKED UP AND SHIPPED BY PAKMAIL YOU WILL START TO ACCUMULATE STORAGE FEES STARTING TUESDAY AFTER THE AUCTION AT A RATE OF $10.00 PER DAY PER LOT WE CANNOT STORE YOUR ITEMS AFTER 5 DAYS OF NO PAYMENT AND NOT HAVING A SHIPPER PICK YOUR ITEMS UP THEY WILL BE CONSIDERED ABANDONED AND FORFIETED WHETHER THEY ARE PAID OR NOT PAID THIS WILL BE THE FRIDAY FOLLOWING THE AUCTION APPROXIATEY 5 DAYS!! !HOWEVER PLEASE FEEL FREE TO CONTACT THEM AT ANYTIME AT 602-971-2300-OR EMAIL THEM AT INFO@WESHIPPHOENIX.COM ***IT IS HIGHLY RECOMMEND THAT YOU CONTACT THEM TO GET AN ESTIMATE ON SHIPPING PRIOR TO BIDDING WITH US WE HAVE NO CONTROL OVER THE PRICE OF SHIPPING NOR DO WE MAKE ANY PROFIT OFF OF THIS SINCE ITS DONE THIRD PARTY. **** All items purchased must be removed from facility by 3:00pm following day of auction. EJ'S Auction is not responsible for items left after purchase. Any items not removed from facility day of auction are left at buyers own risk. Any items left after time time allowed will be subject to a $10.00 per day storage fee plus any expenses required for moving those items. Any items left after five calendar days constitutes forfeiture of the items and assets will become property of EJ'S Auction & Consignment and will be sold at next available auction. INSPECTION AND PER-REGISTRATION: All buyers are encouraged to inspect all items prior to bidding. REGISTRATION: All purchasers are required to register and give the necessary information requested. You are responsible for all purchases made with your number. TERMS: All purchases require PAYMENT-IN-FULL at the end of live auction. CASH, VISA, MASTERCARD, DISCOVER, DEBIT ONLY. ANY ONLINE BIDDERS WHOM HAVE A CREDIT CARD DECLINE AT TIME OF PAYMENT WILL BE ASSESSED A $25.00 FEE SALES TAX: Unless a tax resale license is provided prior to date of sale, the purchaser will be required to pay the combined Arizona State and local sales tax. DEFAULT: In default the second highest bidder will be given the option to become the successful bidder at his/her last bid. The bidder in default will be responsible for the difference in the bids, or the entire amount of his/her bid should the second highest bidder not take the option to become the successful bidder. A service charge of 1½% per month, 18% APR, will be added to all overdue accounts. The bidder in default is also liable for all legal and collection fees. PAYMENT DEADLINE FOR ALL BIDDERS: An account becomes overdue and in default 24 hours after the auction has been completed. NO WARRANTY: Everything in this auction is being sold 'AS IS - WHERE IS' to the highest bidder, without warranty or guarantee of any kind. ALL SALES ARE FINAL. EJ'S Auction & Consignment is not responsible for missing or broken items after the auctioneer sells that item. ABSOLUTELY NO REFUNDS. CONDITION OF ITEMS SOLD: The auctioneer shall not be responsible for the correct description, authenticity of, or defect in any lot, and makes no warranty in connection therewith. No allowance will be made or sale set aside on account of any incorrectness, error in cataloging, or any imperfection not noted. No deduction will be allowed on damaged articles as all goods being exposed for public exhibition are sold as is and without recourse. SALES LIST: A sales list may or may not furnished by the auctioneer. No guarantee as to the accuracy or description is made. Deletions and additions may take place. SHIPPING: Bidders are responsible for the shipping of all items purchased. REMOVAL: All items require PAYMENT-IN-FULL and an authorized receipt prior to removal. All items must be removed from the premises after live auction. Large item removal will be AFTER LIVE AUCTION IS COMPLETE. Small box lots and miscellaneous items can be removed during live auction. Removal shall be at the expense, liability and risk of the purchaser. Failure to remove items by said time constitutes forfeiture of the items and the assets will become the property of EJ'S Auction & Consignment. and may be sold at the next scheduled auction. 'NO REMOVAL OF LARGE ITEMS PURCHASED BEFORE THE LIVE AUCTION IS COMPLETE' *****NO EXCEPTIONS**** PERSONAL AND PROPERTY RISK: Persons attending the auction or preview, during exhibition, sale or removal goods assume all risks of damage of or loss to person or property and specifically release the auctioneer from liability therefore. Neither the auctioneer nor his principal(s), nor his clients shall be liable by reason of any defect in, or condition of the premises on which the sale is held. Bidder Acknowledges responsibility for any personal injury or property damage caused by bidder or bidders agents, employees and representatives for and from (a) any and all personal injury to bidder and bidder agents, (b) any property damage occurring at the auction premises, and any and all suits, claims, damages, costs and expenses of every kind and nature which may or might be asserted against any of them as a result of the actions or omissions of bidder and or bidders agents. DISPUTE BETWEEN BIDDERS: If any dispute between bidders occurs the auctioneer may decide to put the lot up for sale again. The auctioneer's decision is final and absolute. ADDITION TO OR WITHDRAWAL FROM SALE: The auctioneer reserves the right to withdraw from the sale any property listed and also to add property not listed to the sale. AGENCY: The auctioneer is only an agent and is not responsible for the actions of his consignor(s)/client(s). AUCTIONEER'S LIABILITY: If for any reason whatsoever the auctioneer fails to deliver an awarded lot, the auctioneer's sole liability shall be the return of any deposit or moneys paid on such non-delivered lot. TITLE: When the item is announced 'SOLD' by the auctioneer/online bidding system it immediately becomes the buyer's responsibility. Title to the item transfers to the buyer at that time. The seller(s), however, maintain a first security interest in all items until payment is received, including the collection of all funds. EJ'S Auction & Consignment and its personnel assume no responsibility for any missing or damaged items and are not acting as the buyer's security agent. EJ'S Auction & Consignment WILL NOT REFUND ANY BUYER FOR MISSING, STOLEN OR BROKEN ITEMS. BUYBACKS: EJ'S Auction & Consignment does not permit consignors to repurchase or bid on their consigned items. If you suspect that this is occurring, please bring it to the attention of the auctioneer. All internet winning bidders must pay their invoice within 24 hours of the day of auction end. No discount for cash for internet bidders. REWARD: A $250.00 reward will be paid to anyone who leads to the arrest and prosecution of any person caught stealing, renumbering, or shuffling items from lot to lot; before, during or after the auction. Any and all theft will be prosecuted to the full extent of the law. Make: Charles Daly // Model: Kbi-hbg // Serial# Cd005184 // Caliber: .45 Acp // Used Condition. All Out-of-state Purchasers Of Firearms Post-1899 Must Be Shipped To A ...moreLicensed Ffl Dealer In Your State. California Does Not Allow The Shipment Of Handguns. Local Bidders Are Required To Fill Out Ffl Paperwork And Will Be Subject To A Background Check. Make: Beretta // Model: Px4 // Caliber: .40 S&w // Serial# Py52879 // Good Used Condition. All Out-of-state Purchasers Of Firearms Post-1899 Must Be Shipped To A Licen...moresed Ffl Dealer In Your State. California Does Not Allow The Shipment Of Handguns. Local Bidders Are Required To Fill Out Ffl Paperwork And Will Be Subject To A Background Check. Make: Fegyver-es Gepgyar // Model: P63 // Caliber: 9mm Makarov // Serial# Ag4974 // Used Aged Condition. All Out-of-state Purchasers Of Firearms Post-1899 Must Be Shi...morepped To A Licensed Ffl Dealer In Your State. California Does Not Allow The Shipment Of Handguns. Local Bidders Are Required To Fill Out Ffl Paperwork And Will Be Subject To A Background Check. 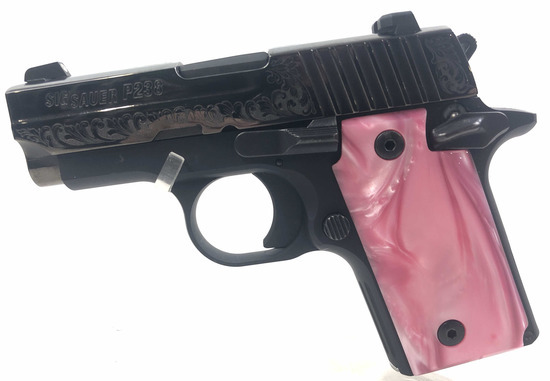 Make: Colt // Model: Detective Special // Serial# H15058 // Caliber: .38spl // Uses Aged Condition, Wear And Scratches Present. All Out-of-state Purchasers Of Firearms...more Post-1899 Must Be Shipped To A Licensed Ffl Dealer In Your State. California Does Not Allow The Shipment Of Handguns. Local Bidders Are Required To Fill Out Ffl Paperwork And Will Be Subject To A Background Check. Make: Springfield// Model: Xd-40 // Caliber: .40cal // Serial # Xd495993 // Good Used Condition. All Out-of-state Purchasers Of Firearms Post-1899 Must Be Shipped To A...more Licensed Ffl Dealer In Your State. California Does Not Allow The Shipment Of Handguns. Local Bidders Are Required To Fill Out Ffl Paperwork And Will Be Subject To A Background Check. Make: Armi Tanfoglio // Model: Gt 27 // Caliber: .25acp // Serial # M52107 // Used Aged Condition. All Out-of-state Purchasers Of Firearms Post-1899 Must Be Shipped To...more A Licensed Ffl Dealer In Your State. California Does Not Allow The Shipment Of Handguns. Local Bidders Are Required To Fill Out Ffl Paperwork And Will Be Subject To A Background Check. Broken Trigger Assembly, Not Functional. Make: Standard Arms // Model: Sa9mm // Caliber: 9mm // Serial# 04576 // Used Non Functional Condition. No Ammo Mag. All Out-of...more-state Purchasers Of Firearms Post-1899 Must Be Shipped To A Licensed Ffl Dealer In Your State. California Does Not Allow The Shipment Of Handguns. Local Bidders Are Required To Fill Out Ffl Paperwork And Will Be Subject To A Background Check. Make: Jennings // Model: J-22 // Caliber: .22lr // Serial# 124059 // Used Aged Condition. All Out-of-state Purchasers Of Firearms Post-1899 Must Be Shipped To A Licens...moreed Ffl Dealer In Your State. California Does Not Allow The Shipment Of Handguns. Local Bidders Are Required To Fill Out Ffl Paperwork And Will Be Subject To A Background Check. Make: Fegyver-es Gepgyar // Model: Pa63 // Caliber: 9mm Makarov // Serial# Hc5106 // Used Aged Condition. All Out-of-state Purchasers Of Firearms Post-1899 Must Be Shi...morepped To A Licensed Ffl Dealer In Your State. California Does Not Allow The Shipment Of Handguns. Local Bidders Are Required To Fill Out Ffl Paperwork And Will Be Subject To A Background Check. Make: Springfield// Model: 1911-a1 // Caliber: .45acp // Serial # Ww135933 // Used Condition, Scratches And Wear Present. All Out-of-state Purchasers Of Firearms Post-...more1899 Must Be Shipped To A Licensed Ffl Dealer In Your State. California Does Not Allow The Shipment Of Handguns. Local Bidders Are Required To Fill Out Ffl Paperwork And Will Be Subject To A Background Check. Make: Hy Hunter // Model: Detective Special// Caliber: .22lr // Serial# 35 // Has Broken Trigger Guard. All Out-of-state Purchasers Of Firearms Post-1899 Must Be Shipp...moreed To A Licensed Ffl Dealer In Your State. California Does Not Allow The Shipment Of Handguns. Local Bidders Are Required To Fill Out Ffl Paperwork And Will Be Subject To A Background Check. Make: Sterling // Model: N/a // Caliber: .22lr // Serial# E27112 // Used Condition, Slide Does Not Lock To The Rear. All Out-of-state Purchasers Of Firearms Post-1899 ...more Must Be Shipped To A Licensed Ffl Dealer In Your State. California Does Not Allow The Shipment Of Handguns. Local Bidders Are Required To Fill Out Ffl Paperwork And Will Be Subject To A Background Check. Make: Ruger // Model: Sr40c // Caliber: .40 Cal // Serial # 343-34010 // Used Condition, Scratches And Wear Present. All Out-of-state Purchasers Of Firearms Post-1899 ...moreMust Be Shipped To A Licensed Ffl Dealer In Your State. California Does Not Allow The Shipment Of Handguns. Local Bidders Are Required To Fill Out Ffl Paperwork And Will Be Subject To A Background Check. Make: Eibar // Model: S&w 1881 Replica // Caliber: .44spl // Serial# 4462 // Used Aged Condition. All Out-of-state Purchasers Of Firearms Post-1899 Must Be Shipped To ...moreA Licensed Ffl Dealer In Your State. California Does Not Allow The Shipment Of Handguns. Local Bidders Are Required To Fill Out Ffl Paperwork And Will Be Subject To A Background Check. Make: Springfield// Model: Xd-40 // Caliber: .40 Cal // Serial# Xd590011 // Used Condition. All Out-of-state Purchasers Of Firearms Post-1899 Must Be Shipped To A Lice...morensed Ffl Dealer In Your State. California Does Not Allow The Shipment Of Handguns. Local Bidders Are Required To Fill Out Ffl Paperwork And Will Be Subject To A Background Check. Broken Firing Pin // Make: Spain // Model: N/a // Caliber: 6.35 Cal // Serial# 1729 // Used Aged Broken Condition. All Out-of-state Purchasers Of Firearms Post-1899 M...moreust Be Shipped To A Licensed Ffl Dealer In Your State. California Does Not Allow The Shipment Of Handguns. Local Bidders Are Required To Fill Out Ffl Paperwork And Will Be Subject To A Background Check. Make: Iver Johnson // Model: N/a // Caliber: .32s&w // Serial# 21961 // Used Aged Condition, Does Not Function Properly, Needs Work. All Out-of-state Purchasers Of Fir...moreearms Post-1899 Must Be Shipped To A Licensed Ffl Dealer In Your State. California Does Not Allow The Shipment Of Handguns. Local Bidders Are Required To Fill Out Ffl Paperwork And Will Be Subject To A Background Check. You've been outbid to j****f! to YOU! Make: Herbert Schmidt ( Imported By Liberty Arms ) // Model: Liberty Sa // Caliber: .22lr // Serial# 104672 // Used Condition, Scratches & Wear Present, Firing Pin Nee...moreds Work. All Out-of-state Purchasers Of Firearms Post-1899 Must Be Shipped To A Licensed Ffl Dealer In Your State. California Does Not Allow The Shipment Of Handguns. Local Bidders Are Required To Fill Out Ffl Paperwork And Will Be Subject To A Background Check. Make: Arminius // Model: Hw7 // Caliber: .22lr // Serial# 150860 // Used Aged Condition. All Out-of-state Purchasers Of Firearms Post-1899 Must Be Shipped To A License...mored Ffl Dealer In Your State. California Does Not Allow The Shipment Of Handguns. Local Bidders Are Required To Fill Out Ffl Paperwork And Will Be Subject To A Background Check. Make: Harrington & Richardson// Model: Break Top // Serial# N/a // Caliber: .32 S&w // Used Aged Condition. All Out-of-state Purchasers Of Firearms Post-1899 Must Be S...morehipped To A Licensed Ffl Dealer In Your State. California Does Not Allow The Shipment Of Handguns. Local Bidders Are Required To Fill Out Ffl Paperwork And Will Be Subject To A Background Check. Make: Smith & Wesson // Model: 669 // Caliber: 9mm // Serial# Tbv7665 // Good Used Condition. All Out-of-state Purchasers Of Firearms Post-1899 Must Be Shipped To A Li...morecensed Ffl Dealer In Your State. California Does Not Allow The Shipment Of Handguns. Local Bidders Are Required To Fill Out Ffl Paperwork And Will Be Subject To A Background Check. Make: Colt // Model: Frontier Scout // Caliber: .22lr // Serial# 66149f // Good Used Condition. All Out-of-state Purchasers Of Firearms Post-1899 Must Be Shipped To A ...moreLicensed Ffl Dealer In Your State. California Does Not Allow The Shipment Of Handguns. Local Bidders Are Required To Fill Out Ffl Paperwork And Will Be Subject To A Background Check. Make: Cai // Model: Cz52 // Caliber: 7.62x25 Takarav // Serial# Mo6859 Cb09231 // Good Used Condition. All Out-of-state Purchasers Of Firearms Post-1899 Must Be Shippe...mored To A Licensed Ffl Dealer In Your State. California Does Not Allow The Shipment Of Handguns. Local Bidders Are Required To Fill Out Ffl Paperwork And Will Be Subject To A Background Check. Make: Enfield // Model: No.2 Mki // Caliber: .38cal // Serial# Zf9977 // Good Used Condition, Consistent With Age And Use. Tm4997 All Out-of-state Purchasers Of Firear...morems Post-1899 Must Be Shipped To A Licensed Ffl Dealer In Your State. California Does Not Allow The Shipment Of Handguns. Local Bidders Are Required To Fill Out Ffl Paperwork And Will Be Subject To A Background Check. Make: Webley // Model: British Bulldog // Caliber: .380 Webley // Serial# N/a // Used Aged Condition. All Out-of-state Purchasers Of Firearms Post-1899 Must Be Shipped...more To A Licensed Ffl Dealer In Your State. California Does Not Allow The Shipment Of Handguns. Local Bidders Are Required To Fill Out Ffl Paperwork And Will Be Subject To A Background Check.